The brand Lakeshore belongs the huge Irish entrepreneur Boyne Valley Group. 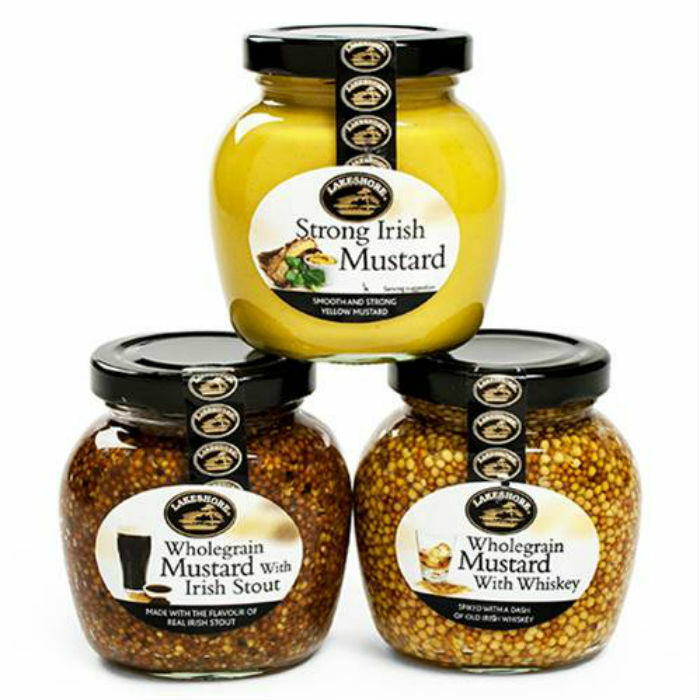 Under the brand you can find marvellous mustard products with special taste such as Strong Irish mustard, Wholegrain mustard with Whiskey. Lakeshore Wholegrain Mustards are prepared by hand in the traditional Dijon manner, using the finest natural ingredients – no artificial colorings, flavorings, or preservatives. They are produced in the village of Ballinderry in small batches, to retain the distinctive flavors that enhance all savory dishes, from sandwiches to steak.